Reassurance shield as 79 joins the concurrency. 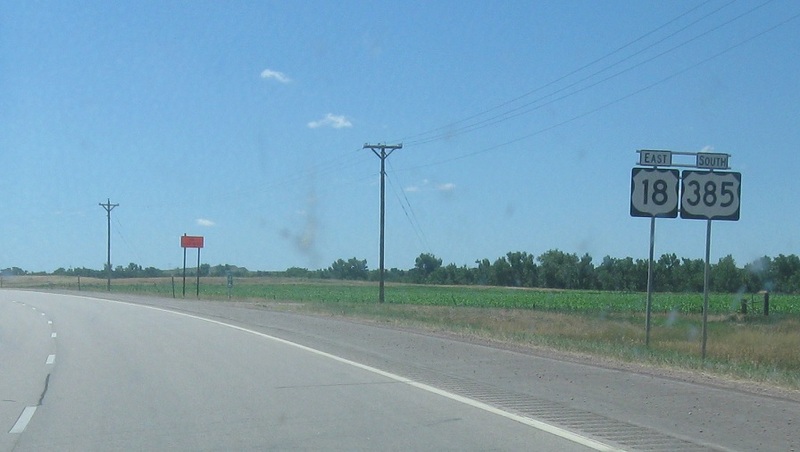 79 will be redundant for the remainder of its length, dead ending at the Nebraska State Line. Reassurance shield a few miles later. 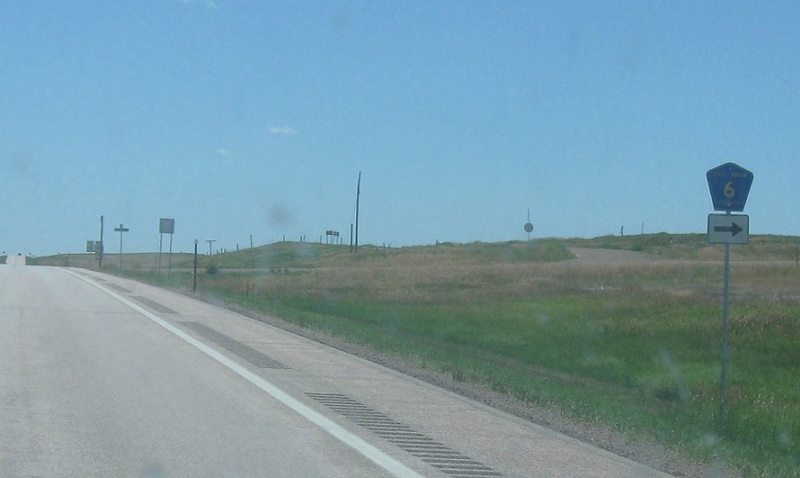 This segment of the highway retains US-385/SD-79′s mileposts. Turn right for CR 6. 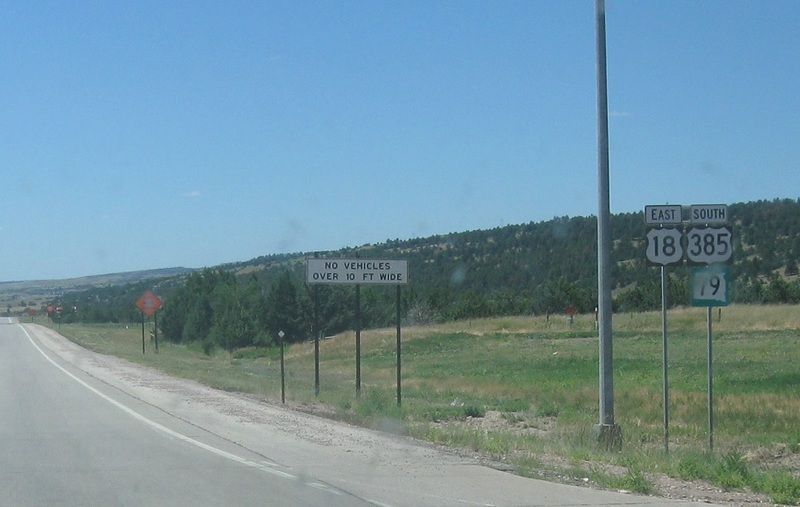 Reassurance shield after CR 6. As I drove through here in July 2013, the expressway was still in the process of being twinned and traffic was redirected to the new (future northbound) carriageway, so the signs are on the other side of the road. 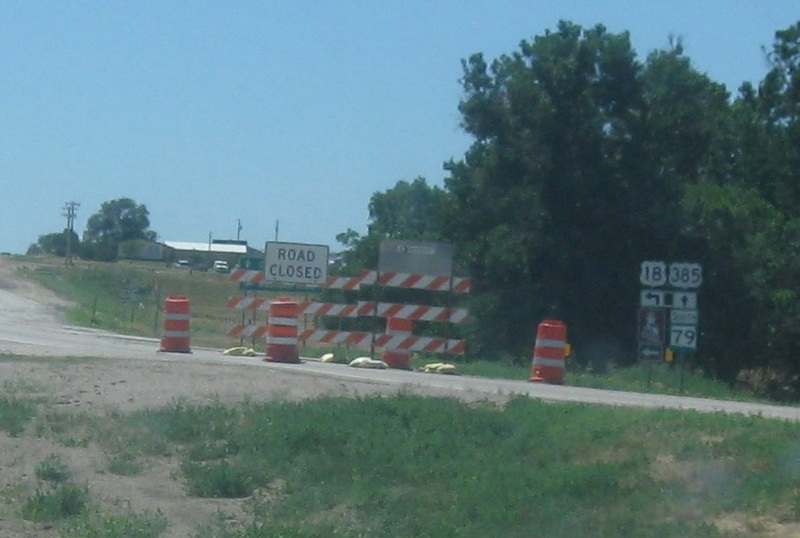 Turn right for 18 east. Stay straight for 385/79 south. 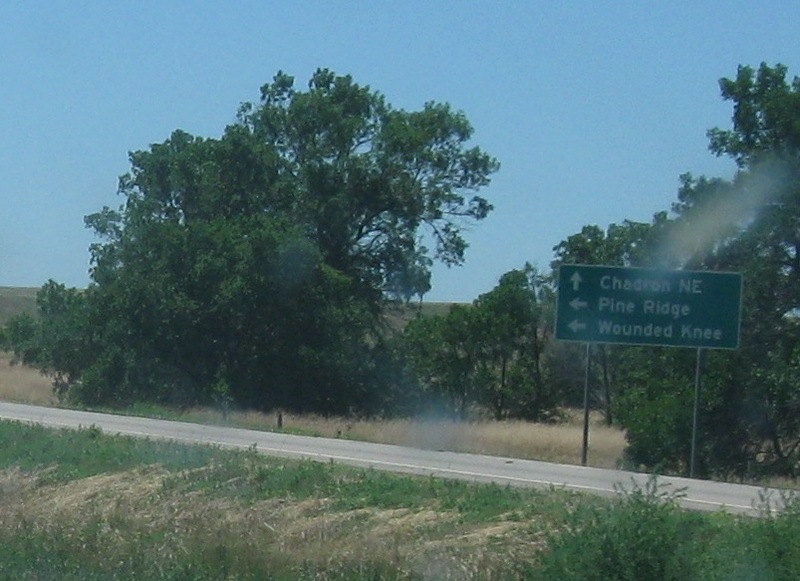 Follow 385/79 to Chadron, Nebraska. 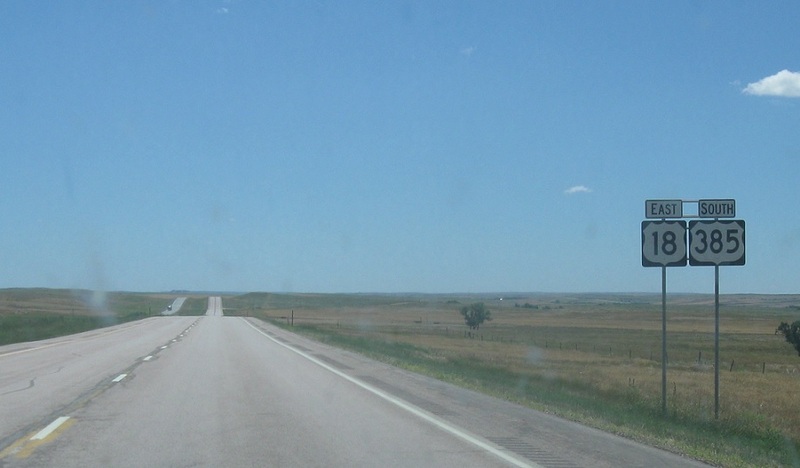 18 east heads to Pine Ridge and Wounded Knee.